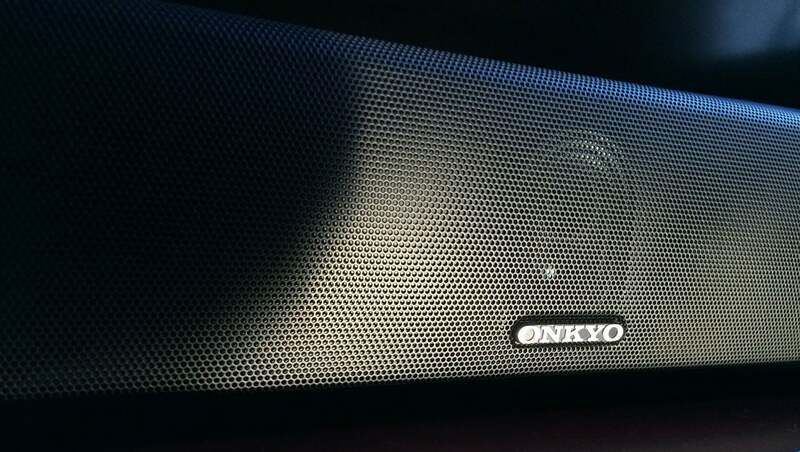 Onkyo’s LS-B50 sound bar system didn’t arrive quite in time for our recent story comparing sound bars from TV manufacturers to their cousins produced by audio companies (Onkyo, of course, falls into the latter camp), but we wanted to consider it nonetheless. 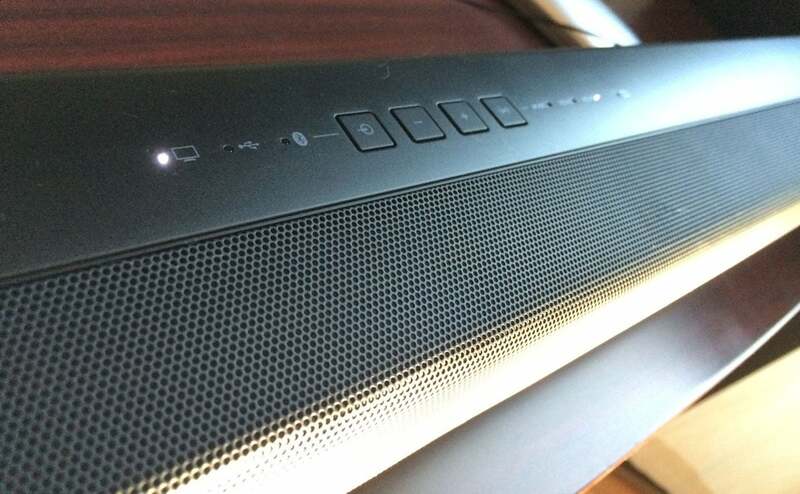 Like those systems, the LS-B50 includes a wireless subwoofer that communicates automatically with the 36-inch soundbar. Just plug both units into AC outlets, connect the sound bar to your TV, and the Onkyo is ready to rock. The LS-B50 is a chunky block of a soundbar, having the appearance (and the visual appeal) of an elongated, plastic brick. Thinner and more sophisticated designs abound, but if your design sensibility is more in line with rectangular chunks (or Legos), it won’t stand out too painfully. In keeping with many audio manufacturers’ low-end soundbars, the LS-B50 has limited connectivity options, comprising optical audio, coaxial, and a standard 3.5mm analog jack—though only one of these can be used at a time. Bluetooth connections are supported, and a USB port lets you play music through direct connection with a thumb drive or other portable media device (in MP3 format only). The lack of an HDMI port, however, is a major sore spot; for the record, I used the optical connection for my testing. An IR blaster is included in the box to help if the sound bar blocks your television’s IR port. Onkyo’s sound bar boasts six channels and eight drivers; but if you think that means you’re getting a true 6.1-channel surround system here, think again. 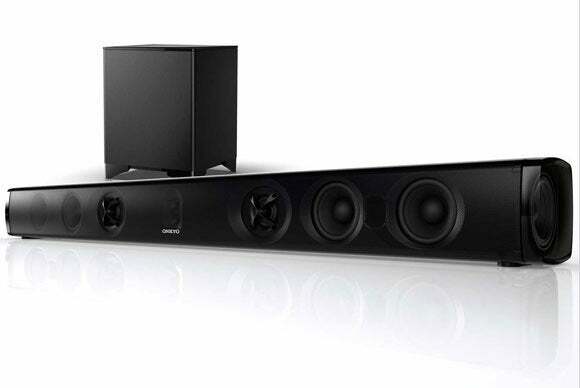 All the drivers (except the subwoofer) are contained in the sound bar proper, and its narrow width ensures that even with its “powerful 3D” movie mode turned on, you’re getting a fairly basic, 2.1-channel experience. The Onkyo LS-B50 looks much more impressive than it sounds. The sound bar’s amplifier offers 100 watts of output, and the downward-firing subwoofer packs a mere 40 watts. Despite these lackluster numbers, the LS-B50 was punchy enough in my testing to shake the room, but not necessarily in the most elegant way. Overall audio clarity was good, but the bass is so heavy by default that it’s tough to notice. It took quite a bit of fiddling to get the bass and treble levels harmonized, even though the remote lets you adjust the subwoofer level independently of the master volume. The three sound modes didn’t seem to have much of an effect in my testing at all. The “movie” mode was somewhat of an exception in that it introduced a more enveloping sound field during movie playback and gaming; unfortunately, that came at the price of introducing a bit of echo into the room. Music was a tougher puzzle to crack; even when I pushed the subwoofer all the way down to its lowest volume, I couldn’t get the big, boomy tones under control for more ephemeral tracks. Most soundbars offer some indication of their status, volume, or other mode settings through LEDs, text displays, or some other indicators on the device. The Onkyo basically has nothing in front to tell you what’s happening, just a single white LED to indicate that it’s turned on. While this isn’t that big a deal when you’re simply switching inputs, it’s more of a problem when changing among the three audio modes or raising or lowering the volume. Placing all the indicator buttons on top of the cabinet reduces light pollution, but it makes them impossible to see when you're sitting in front of your TV. The top of the sound bar has indicators for its three inputs and three sound field modes, but this information is bizarrely hidden away where you’ll never see it unless you’re standing directly in front of your TV. Nowhere does the Onkyo give you a visual indication of the master volume level or the subwoofer volume level. You’ll just have to let your ears be your guide. As a side note I also encountered a strange issue once during my testing where the sound bar simply wouldn’t turn on, and had to be unplugged and reconnected to work again. 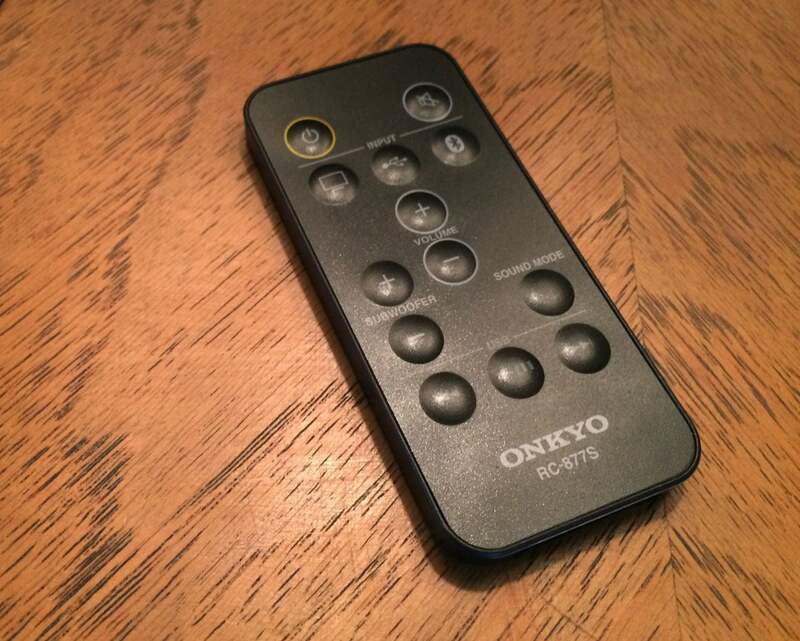 The remote control is easy to master, but you'll probably use it only to control the volume. The LS-B50 comes with a slim and basic remote that includes everything you need to operate the device, including basic play/pause/skip playback controls for USB-connected devices. But realistically, once you get the subwoofer set, you’ll only ever use the volume control. You can also use4 your TV’s remote to control the speaker (it’s been programmed to recognize codes from nine major brands, but it can learn any it doesn’t already know). In the final analysis, the Onkyo LS-B50 is an entry-level sound bar that gets the job done, but its many limitations reveal themselves quickly in testing. Your investment will go further with a sound bar without quite so many limitations. Don't make the mistake of thinking this entry-level sound bar is better than what the average TV manufacturer has to offer just because it's made by an audio company.